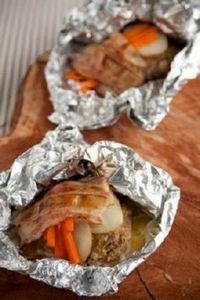 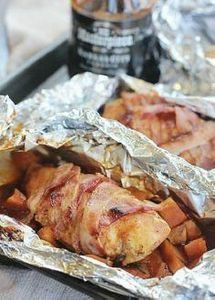 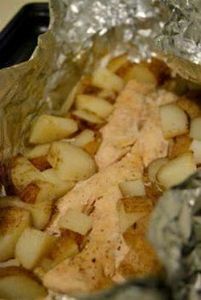 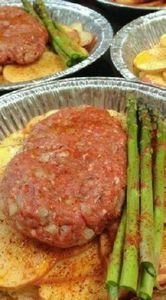 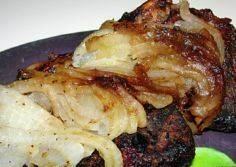 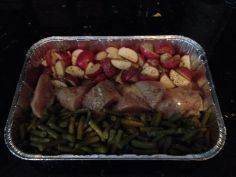 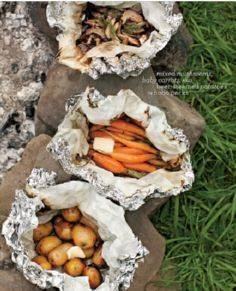 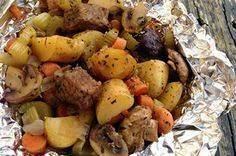 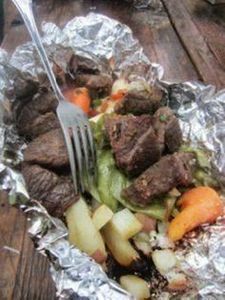 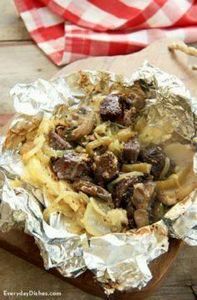 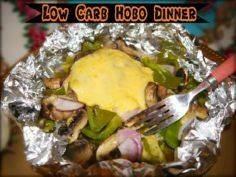 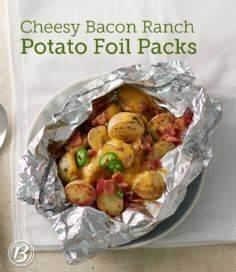 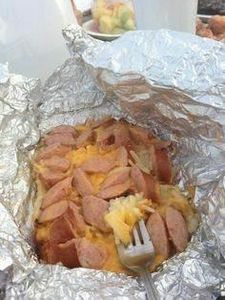 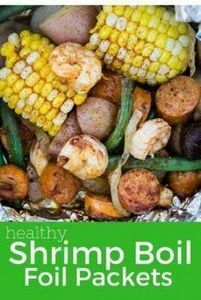 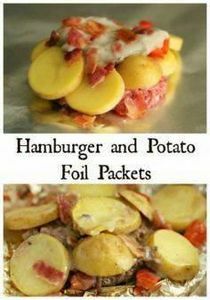 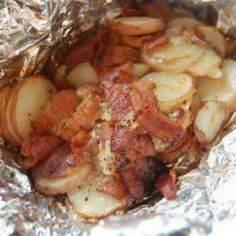 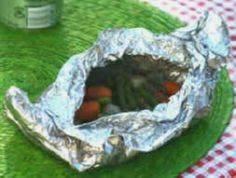 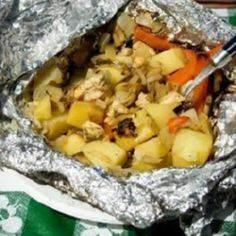 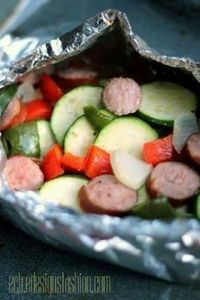 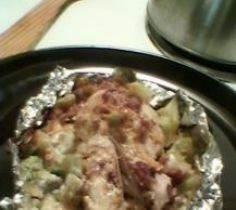 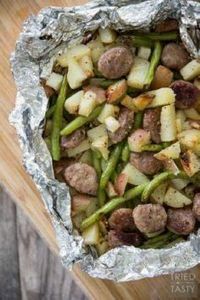 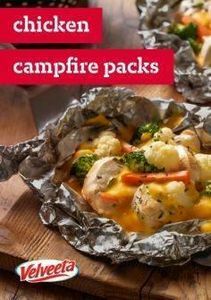 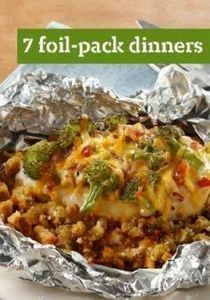 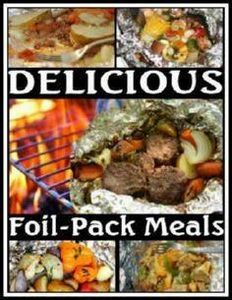 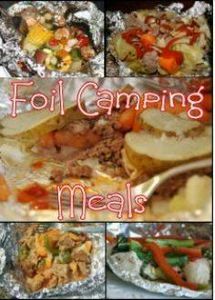 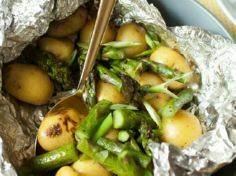 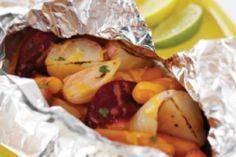 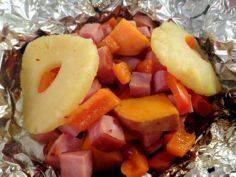 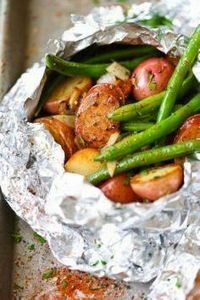 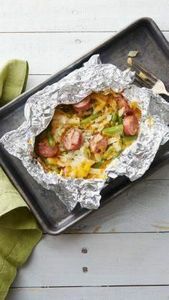 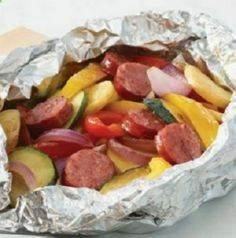 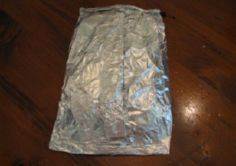 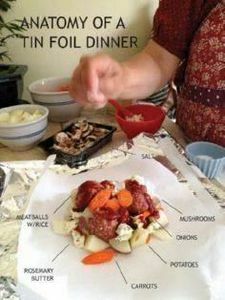 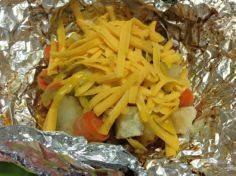 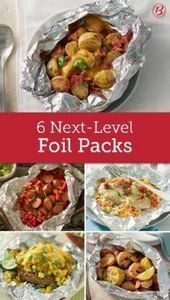 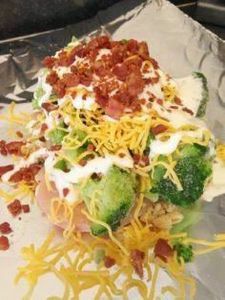 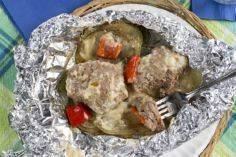 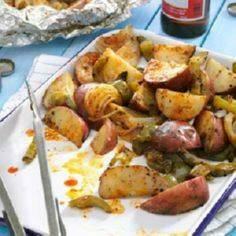 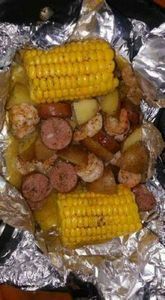 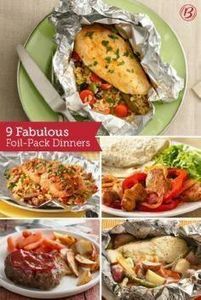 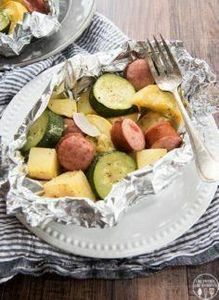 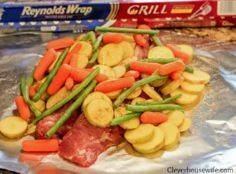 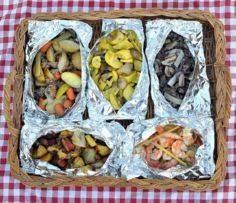 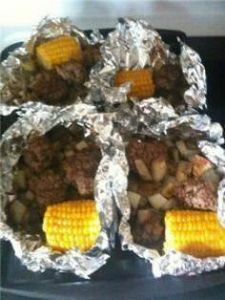 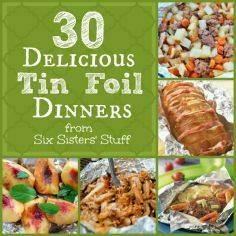 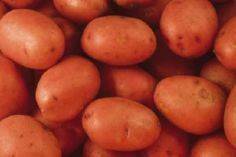 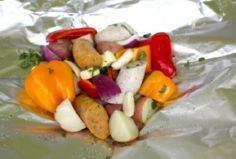 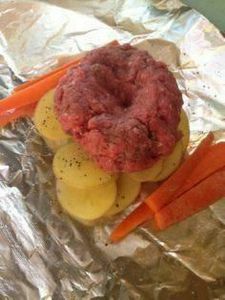 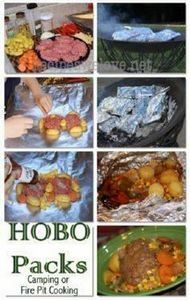 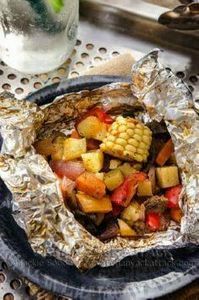 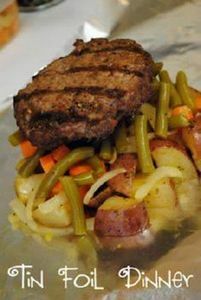 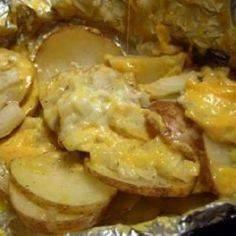 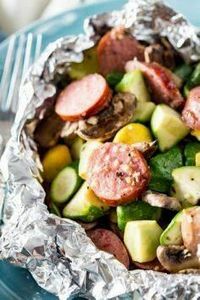 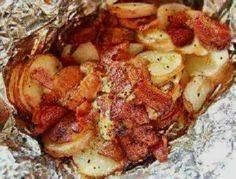 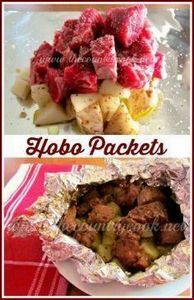 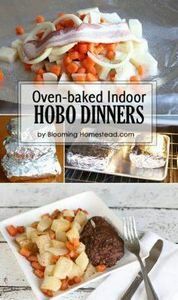 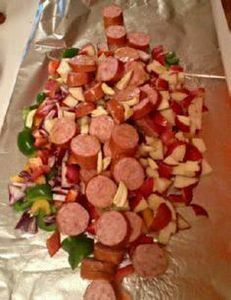 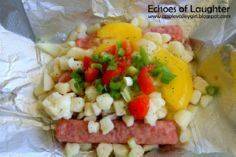 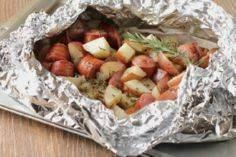 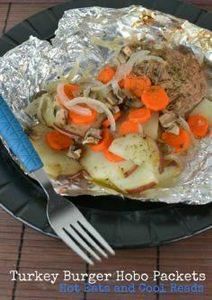 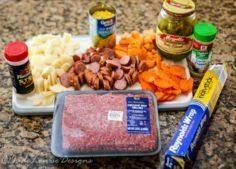 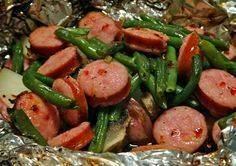 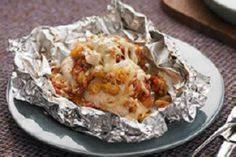 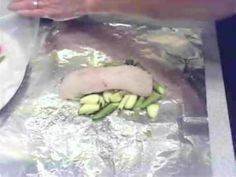 Handy foil packet recipes include hobo stew, smoked polish sausages, chicken and broccoli, cube steak, lemon chick and potatoes, breakfast egg bake, honey BBQ pork foil, cheesy campfire potatoes, bacon and onion, barbecue chicken, hobo dinner, sausage and potato dinner and more. 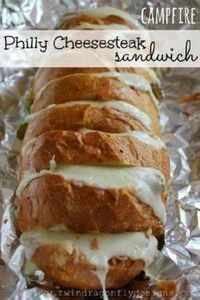 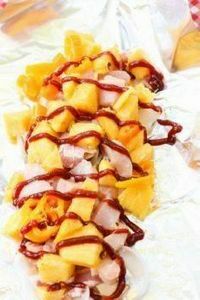 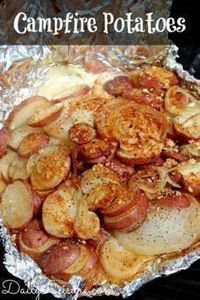 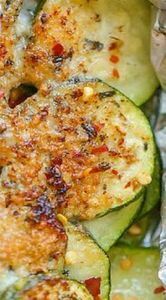 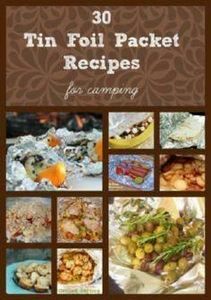 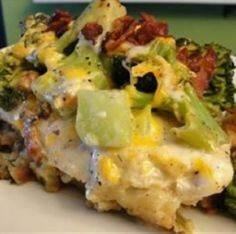 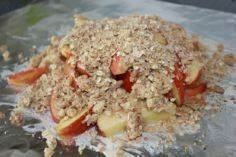 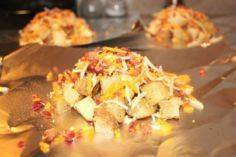 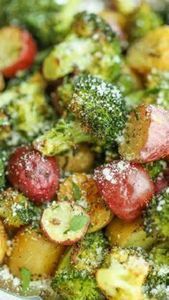 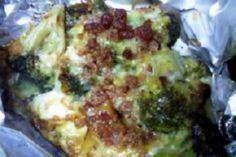 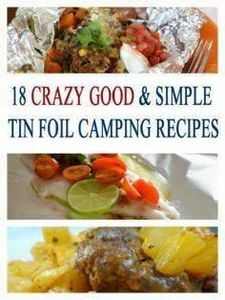 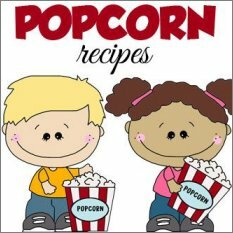 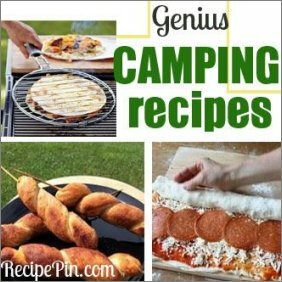 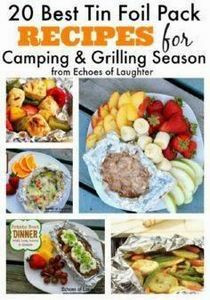 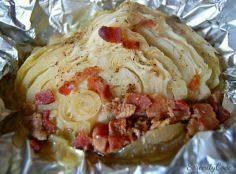 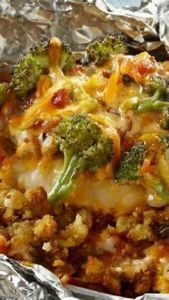 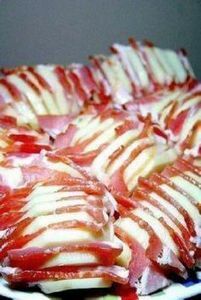 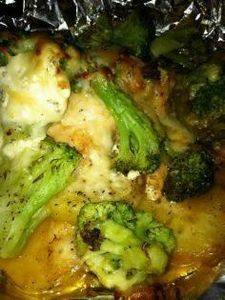 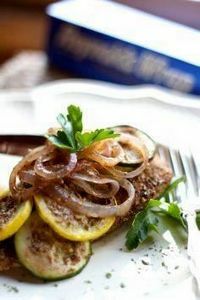 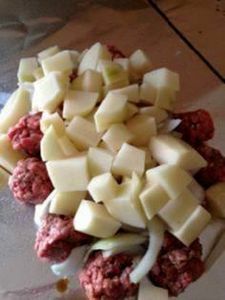 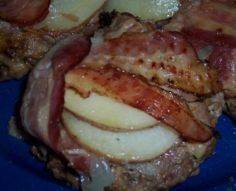 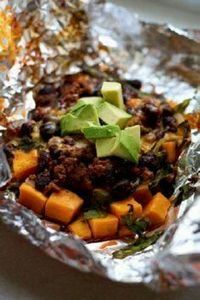 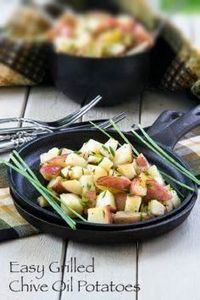 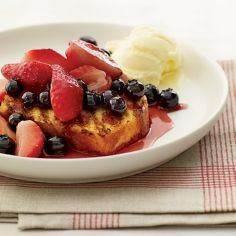 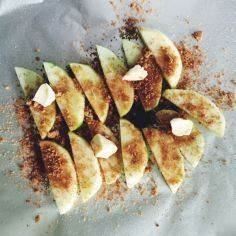 RELATED PAGES: Camping Breakfast Recipes, Camping Dessert Recipes, Camping Recipes. 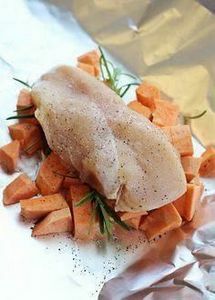 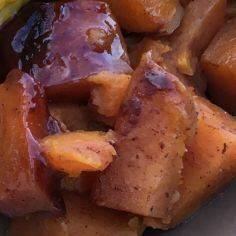 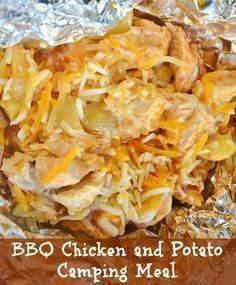 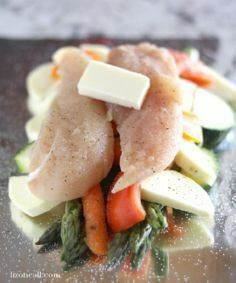 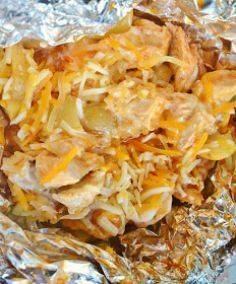 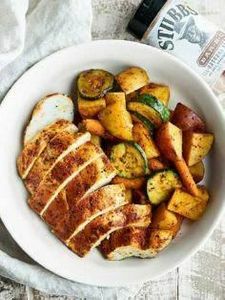 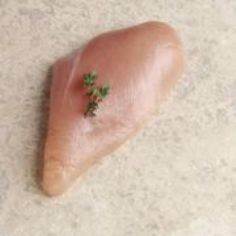 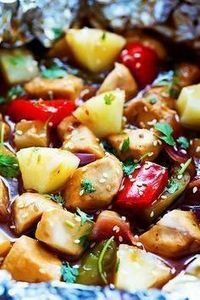 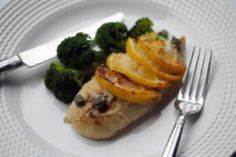 Chicken and Sweet Potato packets. 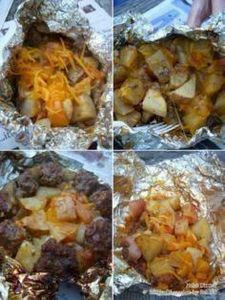 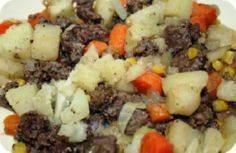 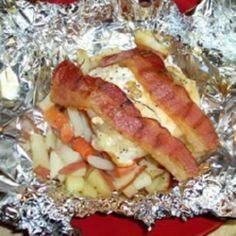 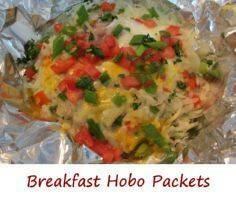 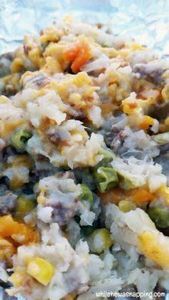 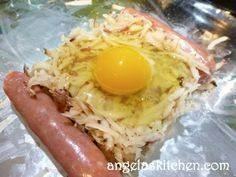 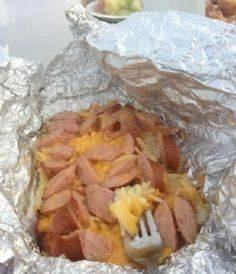 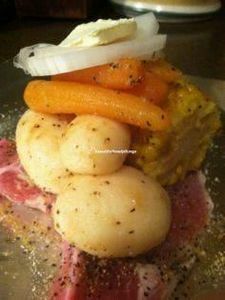 Camp food - Hobo Hash. 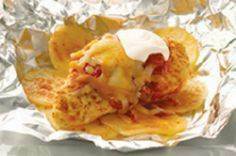 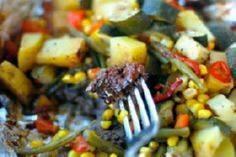 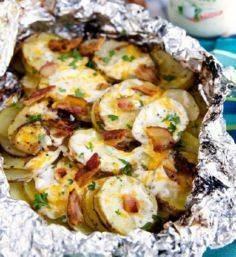 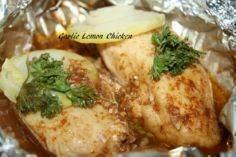 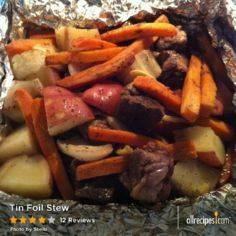 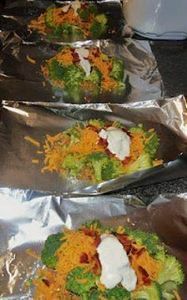 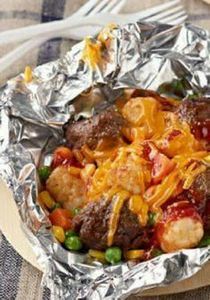 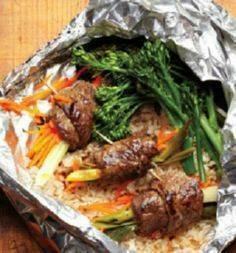 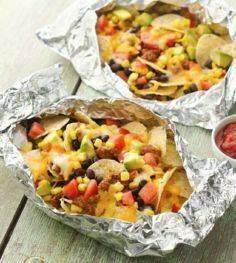 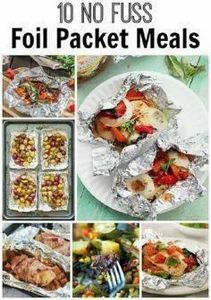 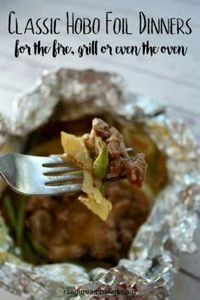 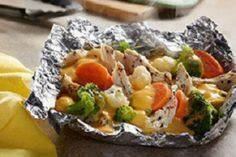 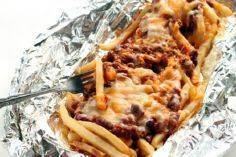 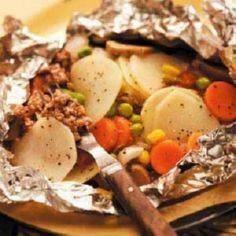 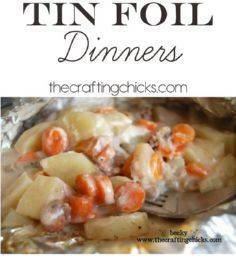 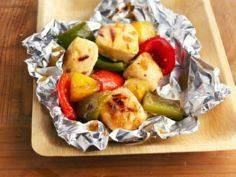 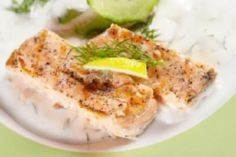 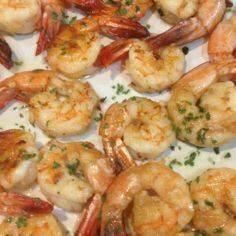 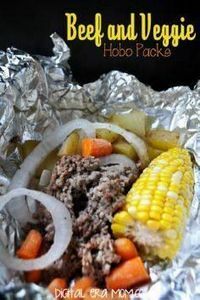 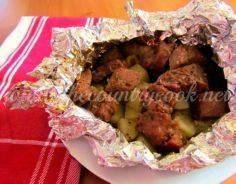 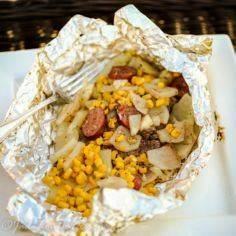 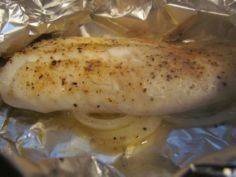 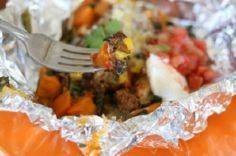 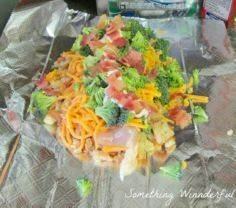 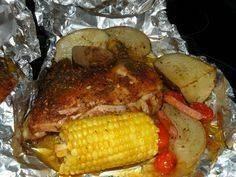 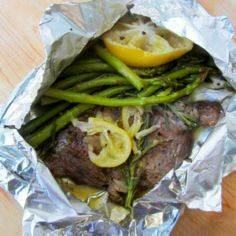 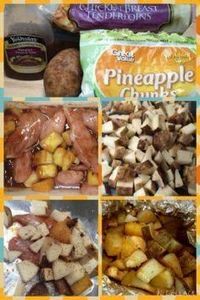 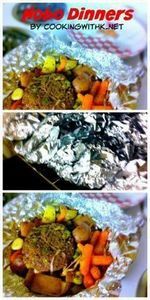 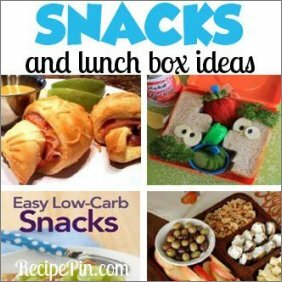 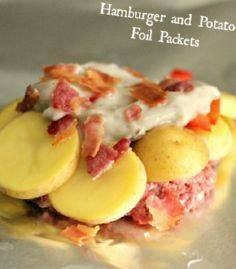 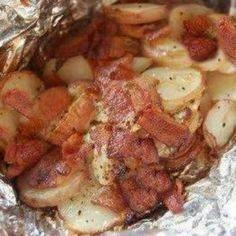 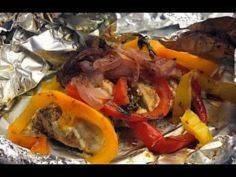 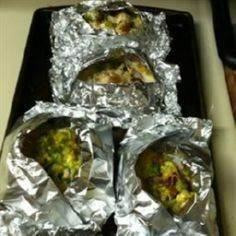 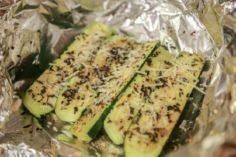 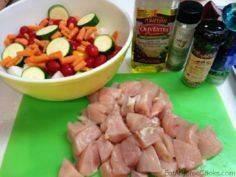 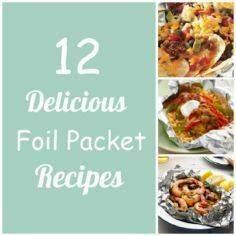 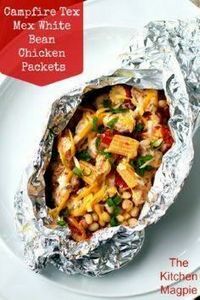 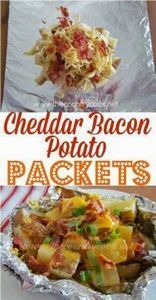 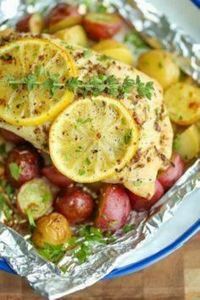 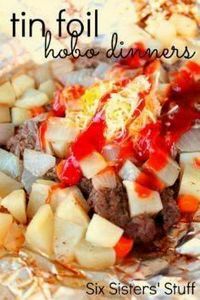 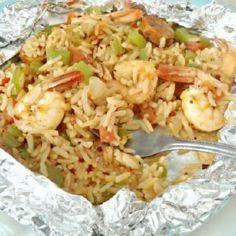 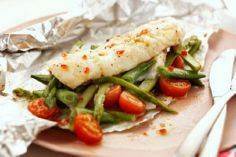 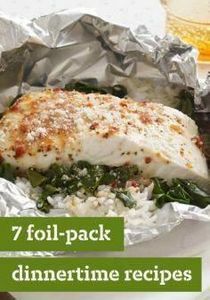 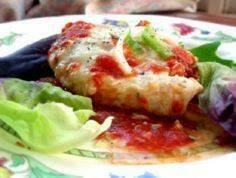 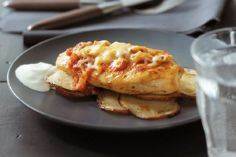 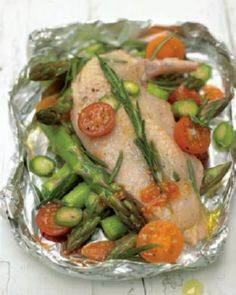 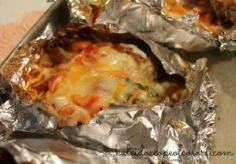 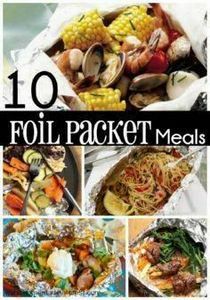 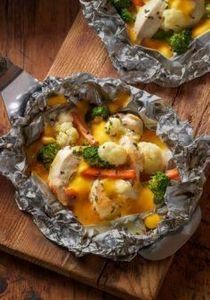 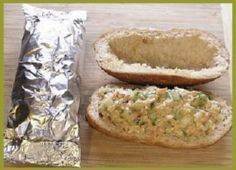 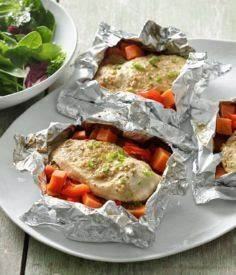 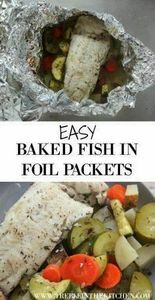 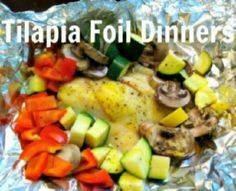 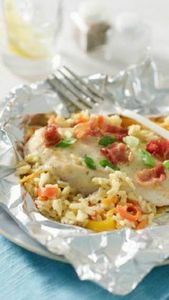 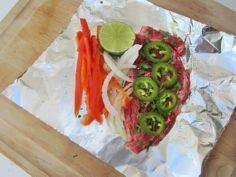 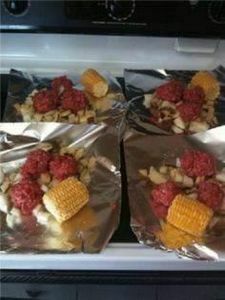 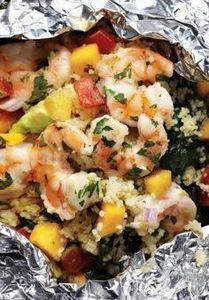 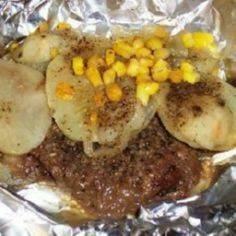 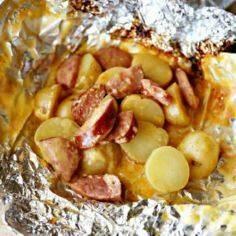 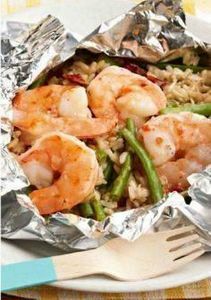 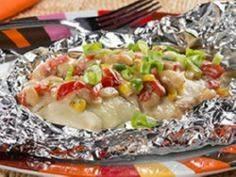 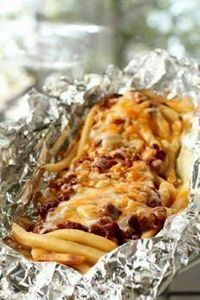 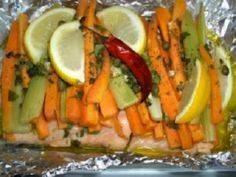 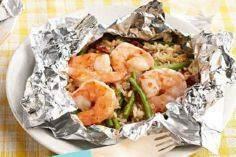 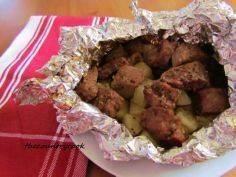 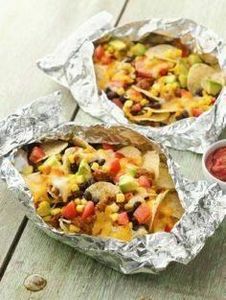 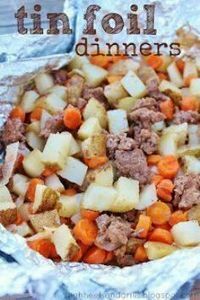 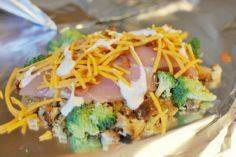 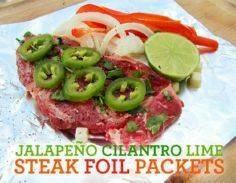 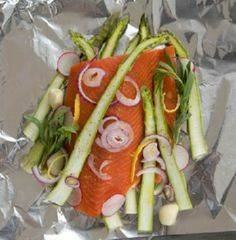 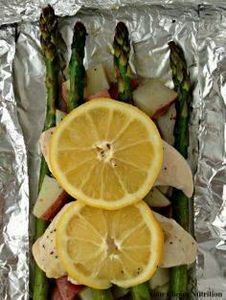 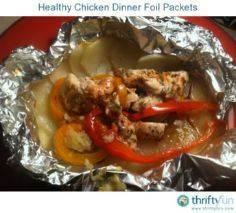 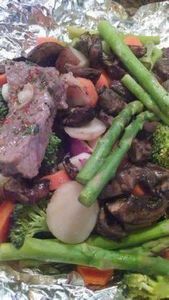 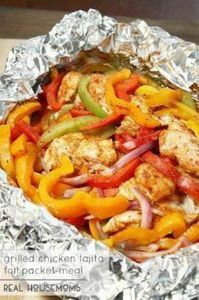 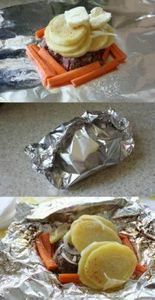 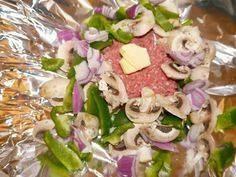 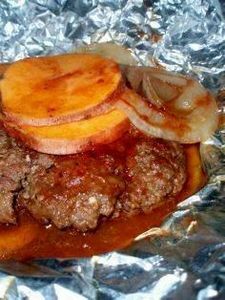 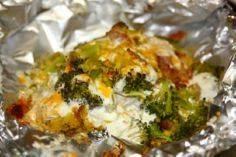 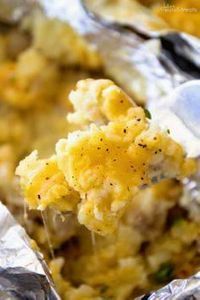 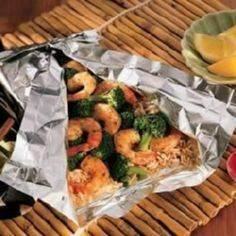 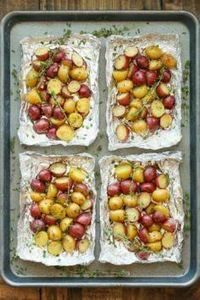 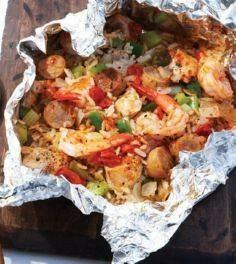 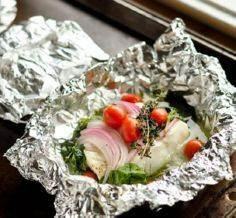 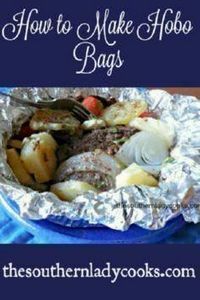 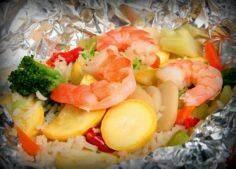 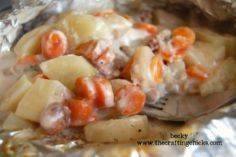 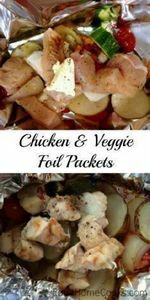 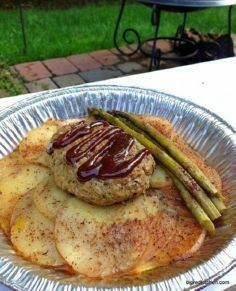 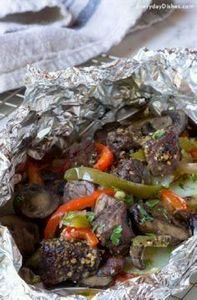 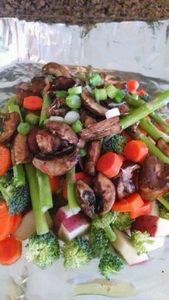 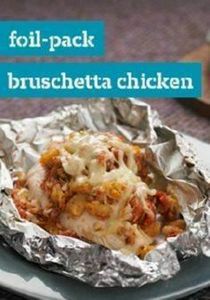 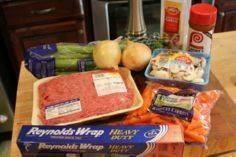 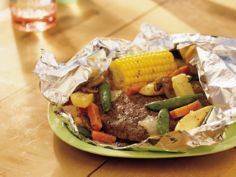 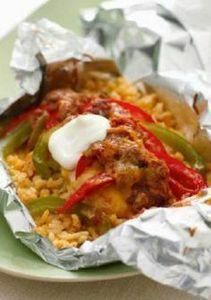 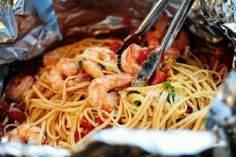 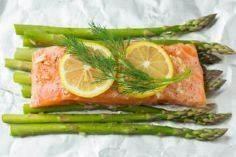 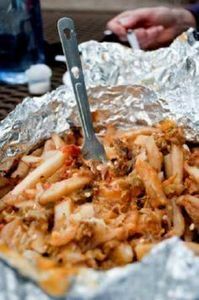 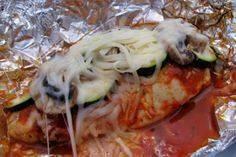 Easy no fuss foil packet meals!